Julep Maven has just launched new gift with purchased deal! 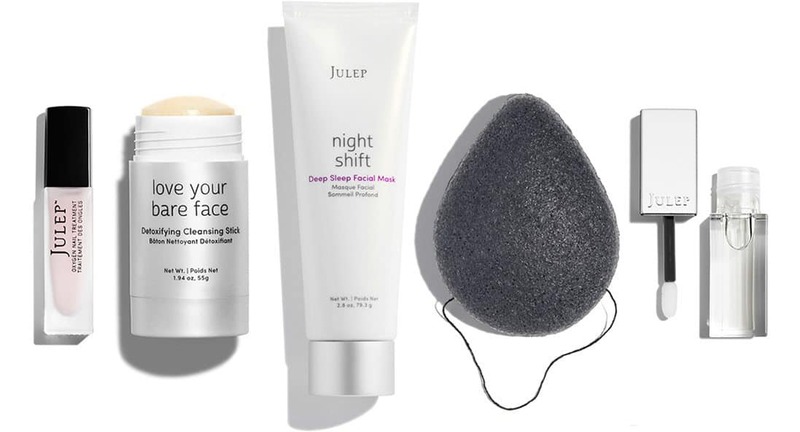 If you love beauty products or have been wanting to try K-beauty, don’t miss your chance to snag this FREE 5-piece K-Beauty Gift from Julep. For a limited time, you can get a FREE Julep Maven Korean Skincare 5-piece skin and nail care gift set when you join Julep Beauty Box and code FRESHGIFT at checkout – a $114 free gift value. 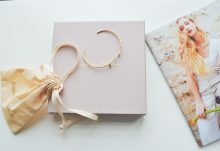 With your Julep Maven subscription, you’ll receivea box of gorgeous and good-for-you beauty, nail, or skincare products delivered to your door every month. Plus, Julep is the only full-size and fully-customizable beauty box that lets you swap out products, so you get what you want every month! Don’t miss this chance to get your $114 value Julep Maven Korean Skincare gift FREE with your new Julep Beauty Box subscription. 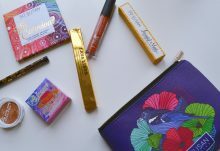 Just take this fun and easy beauty quiz to help customize your first Julep Beauty Box and use code FRESHGIFT at checkout to claim this amazing free gift. 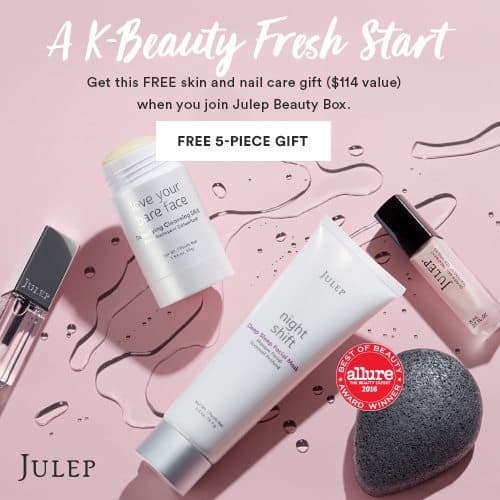 The Julep Maven K-Beauty Fresh Start 5-piece free gift Box includes a few of Julep’s pampering Korean skincare favorites + their award-winning nail treatment! Offer valid while supplies last. The K-Beauty Fresh Start 5-piece skin and nail care gift is valid with the purchase of a Beauty Box Monthly Subscription. 100% satisfaction guaranteed. All plans auto-renew on the 27th of the month. Cancel your membership anytime by calling customer service at 1-877-651-3292. Offer may not be combined with any other promotional offer or discount. 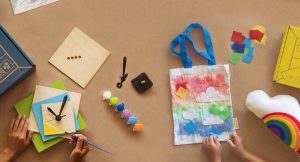 Limit one gift per household. No exchanges or returns are possible on the K-Beauty Fresh Start 5-piece skin and nail care gift set or individual items. Estimated full retail value is at least $114. Taxes vary by location..